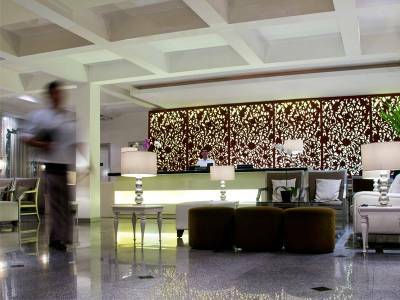 J Boutique Hotel Bali is part of Jatra Hotels & Resorts. It's the first flagship hotel to the group which was established and have began its operation since 1999. You will experience a simple minimalist, chic and retro designed boutique hotel in Black and White theme. 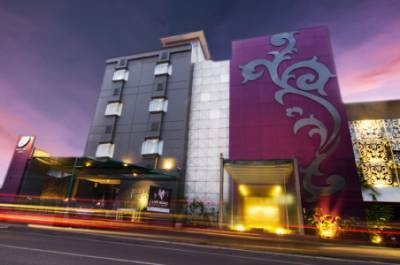 The hotel is located just 10 minute-walk from Segara beach, Kuta beach and is right next to Lippo Mall Kuta. J Boutique Hotel Bali is situated at the heart of the best tourism spots in Kuta. It's a unique boutique hotel with 80 rooms that will enhance your experience during your stay in Kuta, Bali. No matter the occasion or who you travel with, we will care to your preferences and needs. We passionately serve you from the moment you arrive at Denpasar International Airport and send you off with a wondrous experience the moment you depart from our hotel. J Boutique Hotel has a plethora of facilities that are keys to your unforgettable stay. From our wide range of dining experience to an on-site tour and travel agency, we guarantee a delightful and convenient stay for you and your loved ones. If you re Looking for a unique boutique hotel in Bali, Indonesia? Simply get your unique experience while saving your money!... Book your room now - We Offer Only The Best Rate! 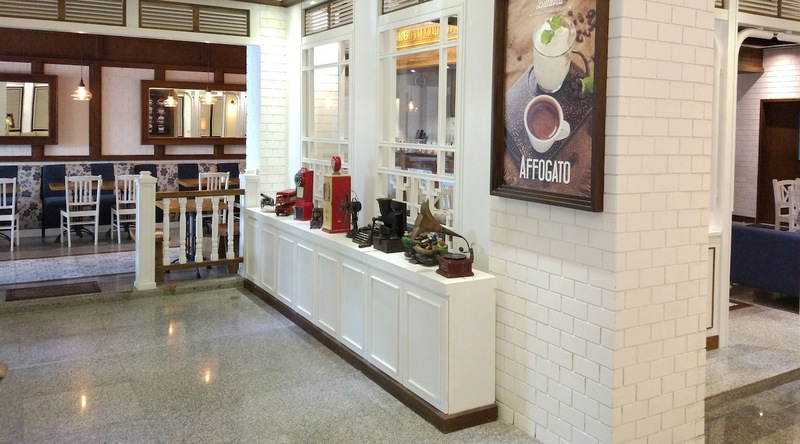 The hotel is within 5 minute walking distance to many tourist attractions including Lippo Shopping Mall, Waterboom Park, Discovery - Centro Shopping Mall and numerous other shopping, spa, eateries and nightlife outlets. Additionally, J Boutique is a ten-minute walk to the panoramic sunset-view of South Kuta and Segara Beach, Kuta central art market and beach front shopping center spots. It is located only seven minute drive from Ngurah Rai - Bali's International Airport. In google map summary our hotel is right at the heart of the hustle-bustle of Kuta - Tuban area, with Denpasar city to our south, and Nusa Dua and Jimbaran, Bali to our north. We provide dynamic hot deals from room only basis to packages including breakfast, dinner, spa, and other benefits. With new deals everyday, you simply need to browse through our website to find more details on all our offers. The longer you stay, the earlier you book, the greater the benefits you will earn...! J Boutique Hotel Bali provides you with room service that ranges from Balinese authentic food to Western lavish choices. Or you can choose to enjoy our Food & Beverages outlets, Stark Craft Beer Garden, Warung Koffie Batavia, and SKYPool rooftop sunset bar. As our guaranteed hassle-free experience, we provide free inbound and outbound airport transfer by our own hotel's vehicle for the guests that book directly from our website. Other benefits include, free onsite large parking areas, unlimited free high-speed WiFi hotspots in all our public areas including the comfort of your own room and many more.